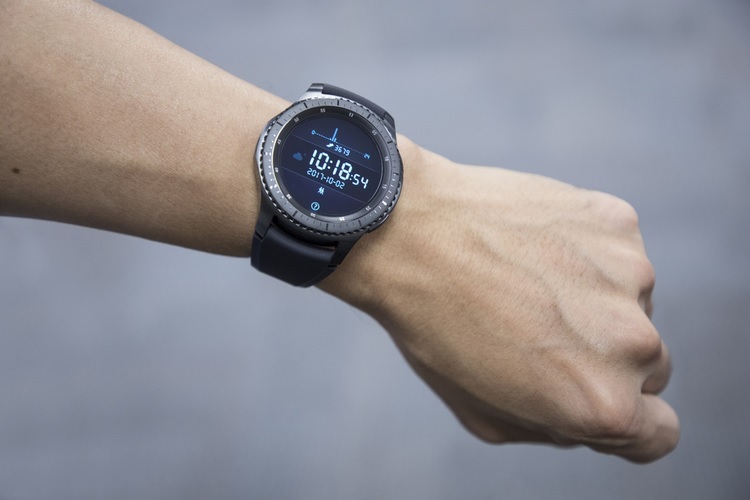 The Samsung Gear smartwatch has been one of the popular wearables in the market, but the company is now looking to shed the ‘Gear’ moniker and adopt the popular ‘Galaxy’ branding for its upcoming smartwatch release. And according to FCC documents that were published today, Samsung may be launching two Galaxy Watch variants. Yes, you read that right. The upcoming Samsung Galaxy Watch is expected to come in 2 different sizes. The new certification documents say that model number SM-R815U will have a 43.4mm case with a circular 1.2-inch display, whereas the SM-R805U model is expected to feature a larger 48mm case with a 1.3-inch display. 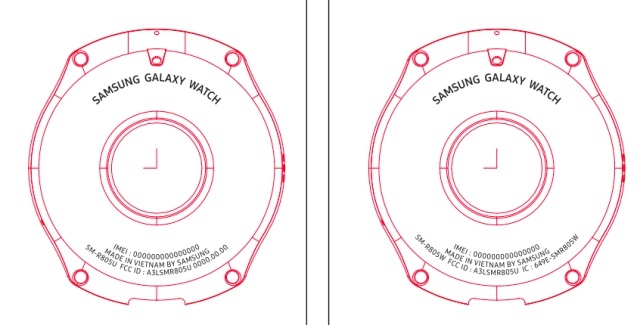 The FCC document has also given us a first look at the underside of the Galaxy Watch, as you can see in the CAD renders attached above. If you take a closer look at them, you will be able to notice that there’s a slight difference in size between the two variants. The CAD render on the left is the larger model as compared to the right one. Both of these variants will be launched under the same ‘Galaxy Watch’ moniker and it’s a little difficult to pinpoint the differences between the two. We can expect Samsung to follow its pattern by launch a traditional and a sporty smartwatch in the coming weeks. As for the specifications, we only know that both Galaxy Watch variants will support the same LTE bands, along with Wi-Fi 2.4GHz b/g/n. Previously, it was also believed that the Galaxy Watch will be powered by Android’s new and revamped WearOS but those rumors have since been clenched. The smartwatches will yet again be powered by Samsung’s own Tizen OS, with Bixby voice assistant in tow. Samsung is expected to unveil the Galaxy Watch (with its two variants) at their Galaxy Note 9 launch event, which is scheduled for 9th August. So, are you eagerly waiting for Samsung’s new smartwatches? Let us know your thoughts in the comments below.